Today I decided to add a detail image (below) of the above image – so often these little bits of magic happen when I am painting that you might not see in the bigger image – sometimes they get lost. 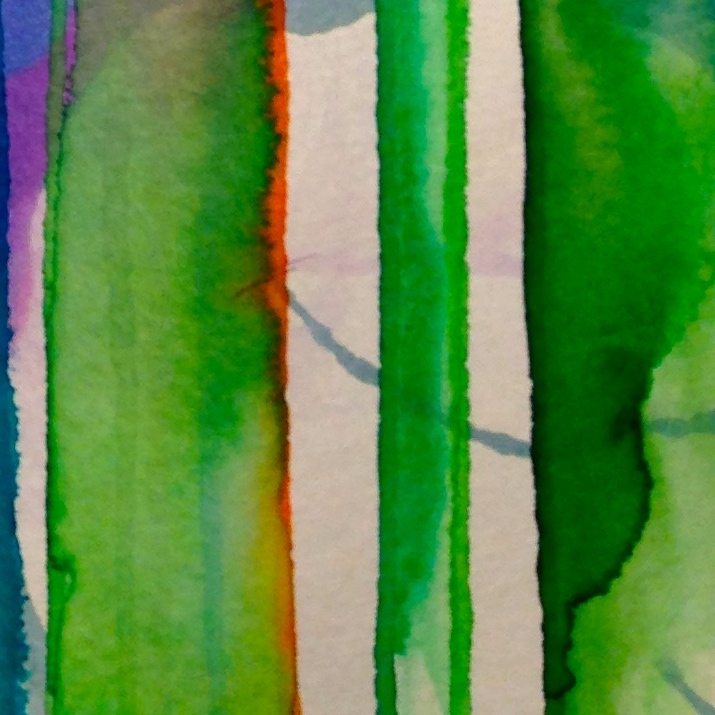 The detail image shown below is why I love watercolor so much – the way the water shapes these organic spaces and transitions, fusing or not fusing the color in such beautiful ways. So much like movement. I love the edges and curves. The places where the light remains or where the colors darken. So far not one of these works have gone as planned – not one. 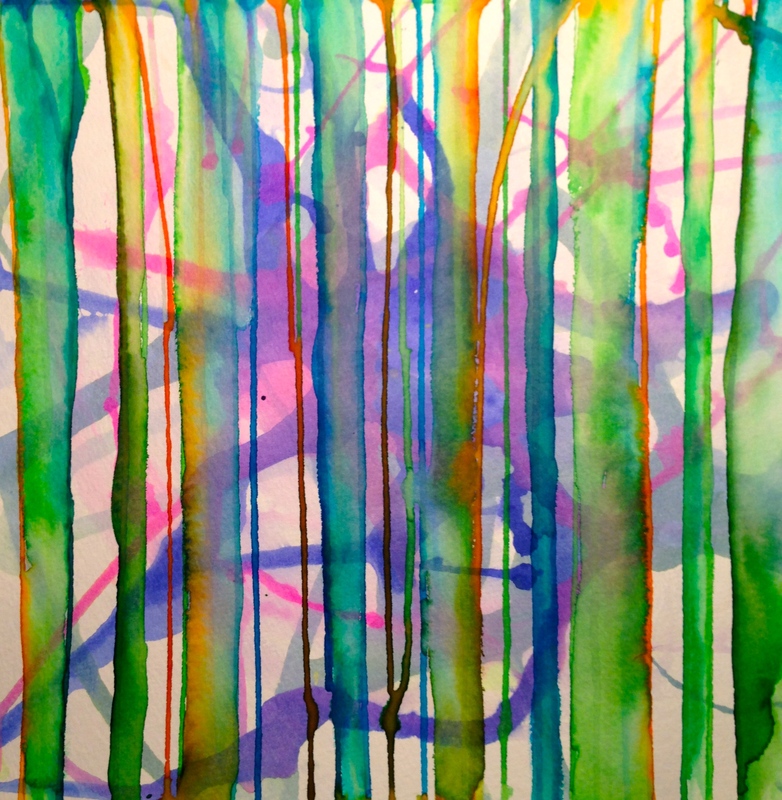 Watercolor does what it wants, how it wants. It is at once the most graceful expression with the most thug stubbornness in its insistence to be exactly what it wishes in the space and time it was created. I appreciate its wildness and refusal to be tamed into an expected vision. Each night, the story asks me to follow it. And so I do. And it’s never what I expect, and I always find the experience to be beautiful. The saying “seeing the forest for the trees” suggests that we step back in order to see the whole and gain perspective. Much like this project, there is so much to learn in flipping things/ideas around. So I am suggesting that a fullness of perspective can also be gained from a look at the smaller details.